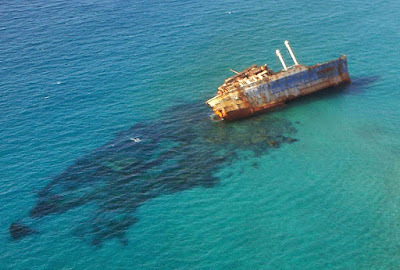 On 18th January 1994, the ocean liner SS American Star ran aground at Playa De Garcey, a remote, rocky beach at Fuerteventura, in the Canary Islands. The ship, and the tug boat towing it, were caught in a hurricane, breaking the tow-lines, the crew on the ship later rescued by helicopter. It was hoped that the ship could be re-floated until, a48 hours later, the strong current broke the hull in half – six months later, the ship was declared a total loss. 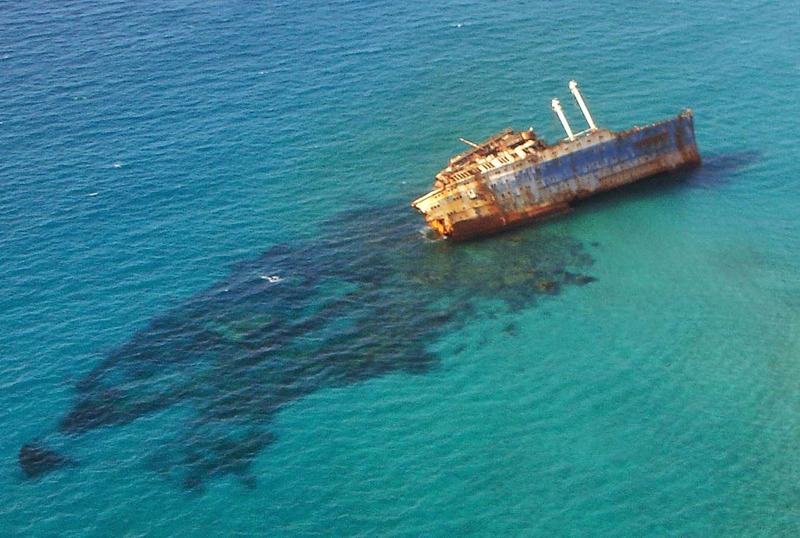 Becoming a popular spectacle for both sightseers and looters, the wreck of the American Star finally collapsed beneath the waves in 2013 – you can still see parts of it at low tide, but not on Google Maps. The golden age of transatlantic travel between Europe and America spanned fifty years to the early 1960s – with planes reducing commuter trips from days to hours, cruising became the market for the remaining ships, and for the passengers that did not worry about time. Now, Cunard’s Queen Mary 2 is the only liner built to withstand Atlantic crossings, but is still a cruiser for the majority of the year. Its cabins are much larger than the box-rooms that even first-class passengers had on the original Queen Mary but, when that liner was in service, it was not a destination in itself, at least in the way cruise liners are today. When the city of Long Beach, California, bought the Queen Mary in 1967, turning it into a tourist attraction and hotel itself, and many other plans that have been and gone, it has become an ongoing race to repair the ship - estimates produced by the city in 2017 put the cost at $300 million. 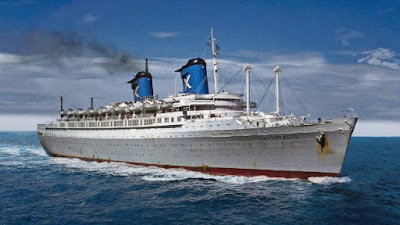 Capitalising on the nostalgia for liners like the Queen Mary, the American Star, launched in 1939 by Eleanor Roosevelt as SS America, was being towed to Thailand where, as one of the few liners of its vintage left, it was to have become a five-star floating hotel. As the flag-carrying official liner for the United States, it wore the flag, its name and stated country of origin across its sides once the Second World War began, warning prospective bombers that it was not involved in the war – once Pearl Harbor was hit, it was refitted as the troop carrier USS West Point, returning to civil life in 1947. 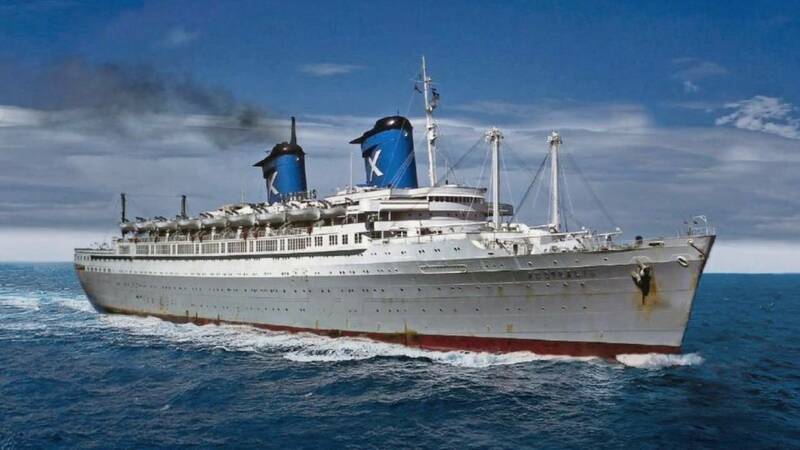 By 1964, SS America was out of time as a transatlantic liner. Holding only a thousand passengers and, at 723 feet, a hundred feet shorter than RMS Titanic, and three hundred less than the Queen Mary, its bigger sister ship, SS United States, took over its routes. 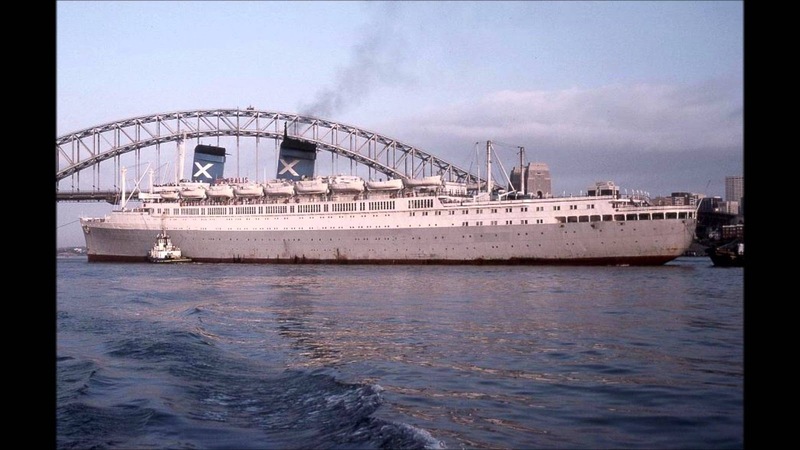 Bought by the Greek shipping company Chandris Line, it was refitted as the Australis, a very popular cruise ship able to take over two thousand emigrating “Ten Pound Poms,” and occasionally other cruising tourists, on a two-week voyage between Southampton and Australia, via Rotterdam and Cape Town, before stopping off in Panama and Miami on the trip back to the UK. The two funnels of the Australis, in blue with the Chandris X emblazoned across it, are still seen on the ships of Chandris’ spin-off successor company Celebrity Cruises, although the front funnel of Australis, a dummy funnel used as both storage and to enchance the look of the ship, was found by one trespassing passenger, so the story goes, to have been storing potatoes. 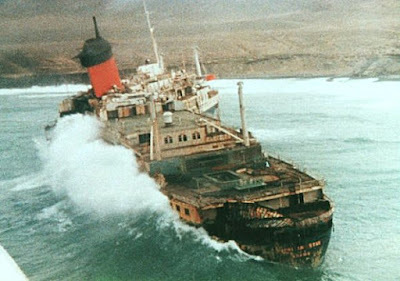 Sold back to the United States in 1978 for an ill-fated voyage under its old “America” name – the new owners had done such a bad job refitting the ship, the US Public Health Service had given it a score of 6 out of 100 after it was impounded – Chandris bought it back for half the cost they sold it for, and ran it as the Italis for a few more cruises, cutting away the front funnel ahead of a refit that never happened. 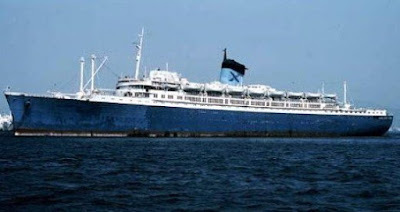 It later was left in port in Greece under new owners, renamed Noga, then Alferdoss, waiting to be rescued or broken up – the listing caused by a burst bilge pipe in 1986 was solved by cutting the left anchor, and dropping the right one. Finally, in 1994, the ship set sail for its final destination, although its final use was slightly different than intended. If the American Star had arrived at Thailand, it is quite possible that its owners could be in the same costly predicament as Long Beach is with the Queen Mary. The Queen Elizabeth 2 arrived in Dubai in 2008, and has remained laid up ever since, although its owners have no plans to scrap it. There were calls for the aircraft carrier HMS Illustrious to be bought and preserved in Portsmouth Harbour, alongside the unique ships Mary Rose, HMS Victory and HMS Warrior, but its sad trip to the scrapyard was quickly replaced by celebration when its replacement, HMS Queen Elizabeth, arrived in port. Nostalgia can be an expensive business, and if new uses can be found, while being able to pay for itself, that is fine. 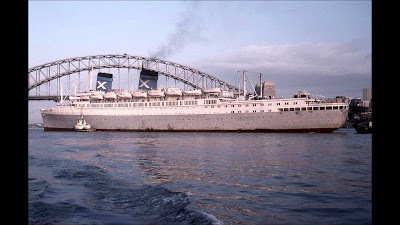 Ironically, the most glamorous of the American liners is now most famous as a wreck, making nostalgia for it far more vibrant than it could have ever been as a floating hotel. I think that there is a lot of nostalgia for these great ships including the American Star and there is also a sense of mystery that surrounds her.